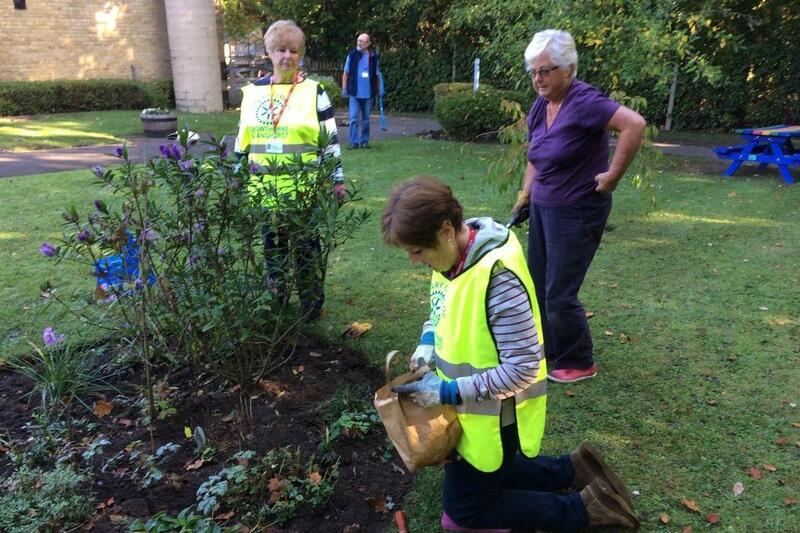 To mark World Polio Day on 24 October, volunteers planted 500 crocus corms at Sebastian's Action Trust's new Woodlands facility in Crowthorne. Their back breaking work is expected to create a spectacular purple display in the Spring. The crocus is the central symbol of Rotary’s worldwide campaign to eradicate polio, with the purple representing the dye used to mark the finger of a child who has been immunised against the disease. Woodlands in Crowthorne, our President’s chosen charity for the year 2018/19, supports families of seriously-ill children from diagnosis, through treatment and beyond by listening and responding to their unmet needs, by providing emotional, social and practical support for children with life-threatening and life-limiting illnesses and their families. Support includes respites provided at the Trust’s purpose-built facility holiday facility. 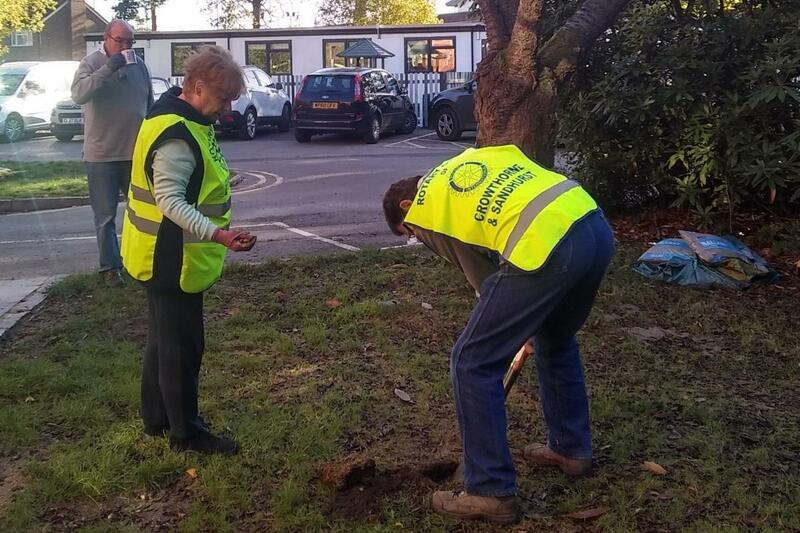 Crocuses were also planted at Oaklands School in Crowthorne.